AuttyW: A couple eye looks! Hello and welcome to today's unconventional post! Every time I do my makeup, I try to get a few pictures of it, so I can use it for a blog post, most times I fail greatly at getting pictures that can be used. However, I did manage to get a couple of decent pictures to show you all the makeup that I've worn! I try to make it a goal to wear makeup to work but sometimes, I'm either way too tired or I just don't feel like taking the time to apply it. 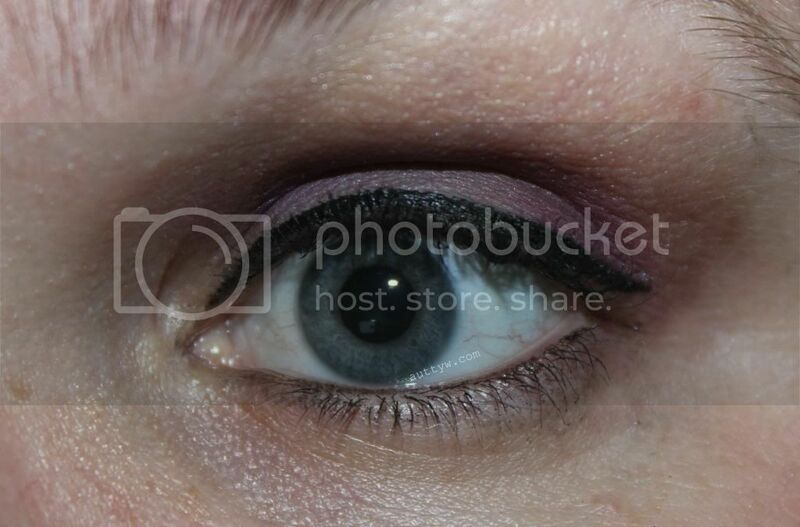 This is the makeup that I wore on mothers day. I wish I could have photographed this better because I quite like how it turned out. I feel like I have angry-brows. I really need to get them shaped because they're bothering the heck out of me. That shall be my goal for the next week or something. To get my caterpillars done! Woo! I'm going to try harder to get decent pictures of my makeup though! Instead of sitting and trying to use flash or just the one light. :P I'm such a lazy bones. But alas I hope yo all are doing well! Oh! I ended up having to return the Stila and Essence mascaras unfortunately. They both burn my eyes really bad, so instead of trying to suffer and itch my eyes, I just took them back. Plus, I wasn't greatly impressed by either mascara, especially that Stila one, it was full o fail. 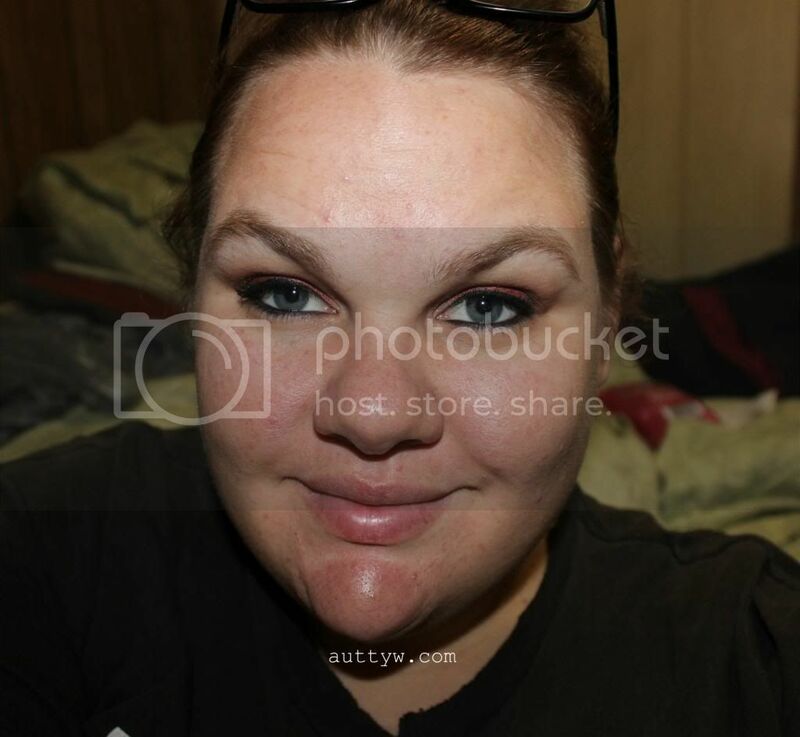 Those are some lovely eye makeup! The colors on the second look are absolutely gorgeous! I love how much sparkle they have without being too overwhelming. Asylum from Sugarpill is amazing! 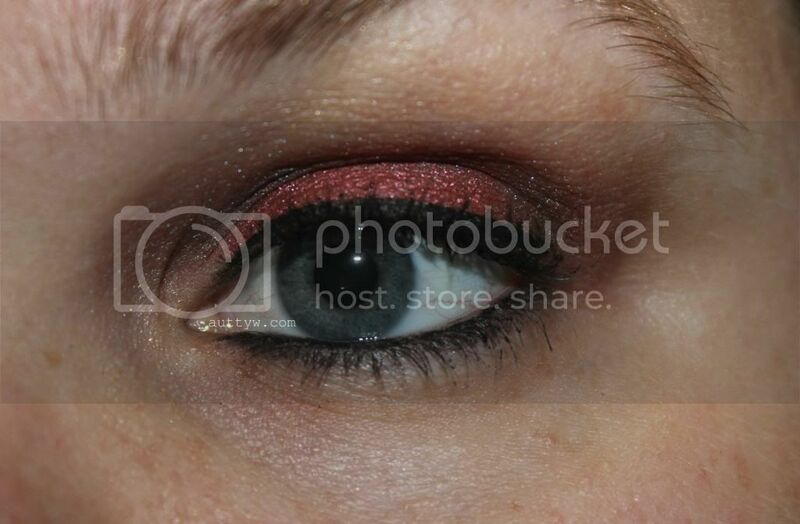 It really gives you that perfect amount of oomph without looking like a disco ball! the second look is soooo gorgeous! Thank you! That was very kind of you to say! I think that it's become my favorite combo as of late!